COMPREHENSIVE SERVICES FOR PATIENTS AND THEIR FAMILIES. The Creighton University Campus Pharmacy is now open at 2412 Cuming St. Suite 201. Our hours of operation are Monday thru Friday 8:30 a.m. to 6:00 p.m. If you have any questions please give us a call at #402-449-4560. 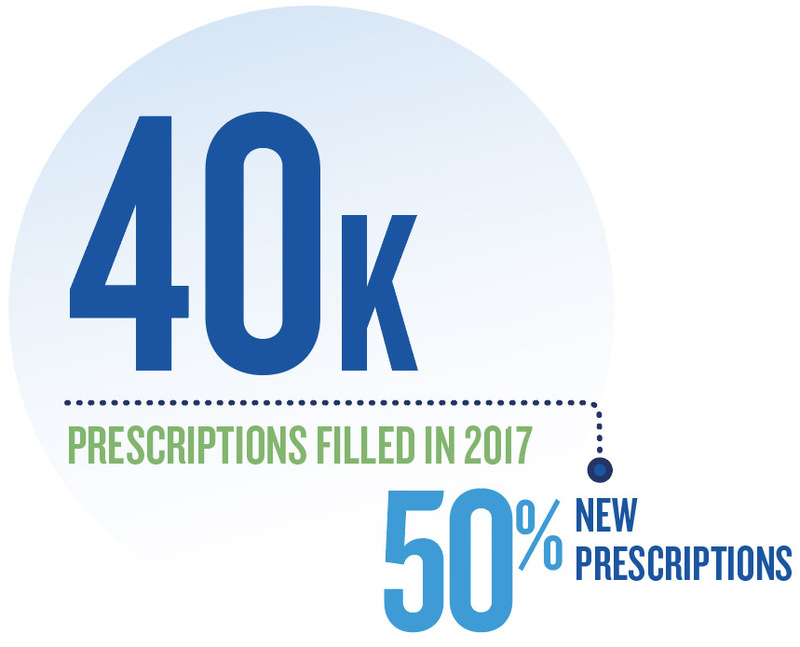 The Creighton University Campus Pharmacy provides patients with comprehensive services through innovative educational opportunities and a commitment to patient care and well being. We offer a wide range of convenient health services. From blood pressure monitoring and immunization to glucose meter education, our goal is to deliver services that meet your health maintenance and medication management needs. Need a prescription but don’t have time to make a trip to the clinic? Creighton University employees can take advantage of our campus delivery service at no additional fee and have prescriptions delivered to their offices – for themselves or for their families. High blood pressure affects millions of individuals in the United States. Have your blood pressure measured to determine if it is high. Just ask a member of our pharmacy team to check your blood pressure while you wait. The Creighton University Campus Pharmacy offers immunizations for our adult patients. The following links provide vaccine information from the Centers for Disease Control and Prevention. We recommend Influenza (flu) vaccinations for persons of all ages, especially children ages six months to five years and adults over 50 years of age. They should be administered yearly from October through February. As a patient of the Creighton University Campus Pharmacy, you have the option to sit down with a member of our pharmacy staff to discuss your medications and any problems with medications you are having. You may schedule a medication review free of charge. Contact the pharmacy for more information. With so many meters on the market, it’s easy to get confused about the product you use. Ask a member of our pharmacy team to assist you with your meter. We will provide step-by-step instructions as you learn to use your meter correctly and ensure accurate blood sugar measurements. Creighton University employees may use our campus delivery service at no additional fee. For prescriptions to be delivered, you will need to complete the delivery waiver form for yourself and other members of your family. We accept most insurance prescription plans including worker’s compensation claims. If you would like to transfer your prescription refills from another pharmacy, please call the Creighton University Campus Pharmacy. Be ready to provide the name and location of the pharmacy along with the names and/or prescription numbers of any medications you need transferred. We are never too busy to engage our patients in conversation or answer any questions you may have about your health or your medications. We also strive to keep your copays down by finding less expensive options and by finding coupons from manufacturers.